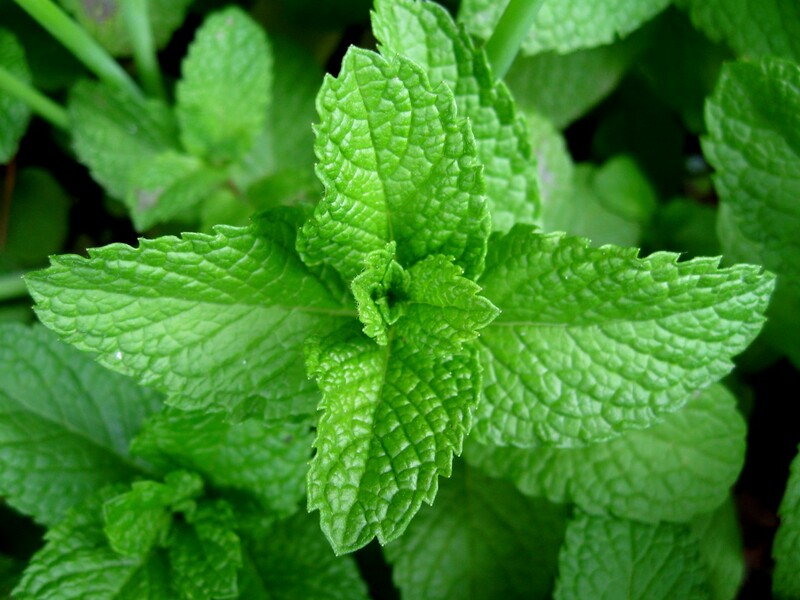 The Bazin Chronicles: Mystery Ingredient Monday: Mint! 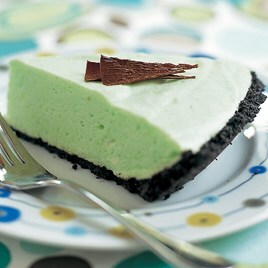 The original plan had been to make the very lovely and delicious looking Grasshopper Pie from Cook's Country. Recipe here But someone (me) didn't set about buying the creme de menthe until yesterday afternoon. Now, unlike Dallas and the surrounding area, Houston doesn't have any dry counties, but it's still subject to the state's blue laws. Beer and wine can be purchased on Sunday after noon, but no hard liquor or spirits (is there a difference?) Anyway, I was thwarted, and decided to look into these laws that had foiled my plans. Surprisingly, some of the biggest blue law supporters are the liquor stores themselves. Spec's, the major liquor store chain in Houston, argues that they like to give their employees guaranteed time off with their families. Also, from an economic stand point, liquor stores in states that have changed their blue laws away from the no-liquor on Sunday model, haven't seen a lasting bump in profits; rather, their weekly take spreads out across 7 days instead of 6--more overhead for the same amount of profit. Really, I'm just telling you all this because I think Spec's is an awesome company. From their charitable giving page, "In our continued effort to support our employees and their families, Spec's has partnered with the Catholic Diocese of Galveston & Houston to provide for the education of our employee's children. We provide for the Catholic School education of the children of our employees." Isn't that just awesome? In the past, I've taught students who would not have been able to attend Catholic school if it hadn't been for the Spec's scholarship. Almost makes you want to buy more alcohol because of how phenomenal a company they are. Long story short, with no creme de menthe, and no way of getting any: this isn't a post about grasshopper pie...or mojitos for that matter. What to make when you're at the grocery store for the second time that day, this time after the late evening Spanish Mass because you so totally have your act together? Oh! and you almost gave up and bought the box of Andes mints to eat straight through because the produce section was out of fresh mint but then a nice grocery store clerk found some in the back for you? We went with a made-up summer spritzer. fill two glasses with ice, divide peach mixture evenly between the two glasses, add 6 oz of ginger ale to each. Give it a quick stir and there you have it! Given the challenges surmounted, these weren't half bad. Mark liked them and he doesn't even like fresh mint, so I guess that counts as a resounding endorsement, right? Oh, and I am willing to share tips on late-night camera-phone food photography. I'm expecting a call from Food & Wine any day now. Next up on MIM: jalapeños! Fresh or jarred, with the seeds or without, use serranos if that's all the grocery store is selling that week. Wait, that's never happened to you? I'll be hosting the link-up next week, so I'm looking forward to seeing you all back here with what spiciness you've cooked up! Be sure to visit Jessica and Tasha to see what they've made this week. Tasha's hosting the rehash so be sure to comment so we can see all the yumminess. If you want to play along but don't have a blog, instagram or tweet it #mysteryingredient, or tag us in a facebook post about your dish so we can marvel your creativity! P.S. Thanks for all the prayers for my mom. The surgery was successful and she should be coming home from the hospital today or tomorrow, but with such an extensive procedure, it'll be quite a while before she's back to her old self. You need a fancy title for your cocktail. Then I will pin it and it will go viral and you and Mark will write a book about cocktails and name your children Sapphire, Hendricks, Tito, Jameson and Bailey. Ginger Peach Spritzer? Or we could go all Anne Shirley with it and call it "The Ginger Peach Way of Delight." Definitely go with the second one. I am going to try your cocktail for sure. I love peaches. I think I will have to include Emily's "I'm Spiiiiicccyyyy!" story next week. Nice choice. Oh my gosh, that pie looks so good, I think you need a do-over mint day to make it! This looks like such a fun link up! Can anyone join in? My jalepenos are just getting ripe!